To: Buffalo Soldiers of the Arizona Territory - Ladies and Gentlemen of the Regiment, Mesa, AZ. 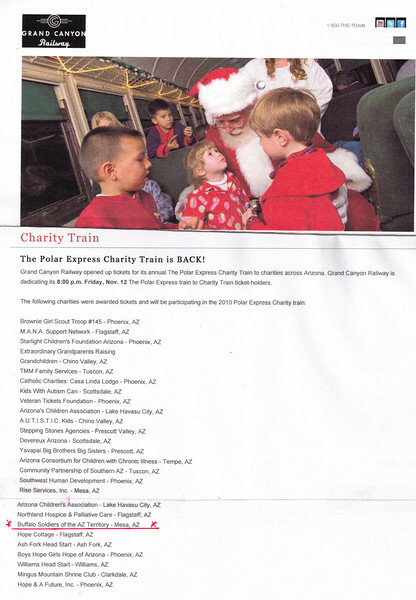 On behalf of everyone at Grand Canyon Railway congratulations on being chosen to received complimentary tickets aboard The Polar Express Train Ride, Williams, AZ. Friday, November 12, 2010.